Say 'Curiosity Rover' on three! Taking a picture of another planet is an accomplishment worth noting for any photographer. And on July 27, even amateur camera equipment will be able to capture a photo of Mars when the red planet reaches opposition with the sun and Earth, making it brighter than it has been in the night sky since 2003. Not only will you be able to spot Mars from right in your backyard — it’ll be one of the clearest, brightest objects in the sky and have a red tint — but with just a pair of binoculars, any stargazer can pick out some of the details on the surface. It’s that close! So if you have a choice of lenses at home, pick out your longest and get ready for Mars’ close-up. How Can You Take a Picture of Mars at Opposition? That ever-growing bright, reddish dot in the night sky isn’t just your average star: It’s the red planet, and it’s getting closer to Earth than it has been since 2003. Steve Ward, the host of Inverse’s stellar podcast I Need My Space, took the above photo and blurred out the background to sharpen the red planet at the photo’s center. Luckily, anyone can get a snapshot of Mars like this one while it’s in opposition. This summer has been a phenomenal opportunity to spot dozens of celestial happenings, from meteor showers to the full Strawberry Moon, but one huge perk of Mars at opposition is that the natural wonder can be seen from all corners of the Earth. After dusk, or at about 8:25 p.m. Eastern time, the planet’s golden-orange glow will be visible rising from the east. At about 5:15 a.m. Eastern, Mars will set in the west, bathed in rosy hues. You’ll be able to spot Mars with your naked eye, so recording it for posterity is an easy enough task. For amateur photographers — those without a telescope — use your lens at its widest aperture, point it at Mars, and give it a few seconds of exposure. You’ll get a shot of the red planet and nearby stars. This Hubble Space Telescope view was taken on May 12, 2016, when Mars was at opposition 50 million miles from Earth. What Does Mars at Opposition Mean? Opposition describes when a celestial object is lined up perfectly with the sun and Earth, and in Mars’ case, that means it’ll become the fourth-brightest object visible from our planet. Despite being half of Earth’s size, Mars will shine even brighter than Jupiter, the largest planet in our solar system (that could fit all the other planets within it, combined). 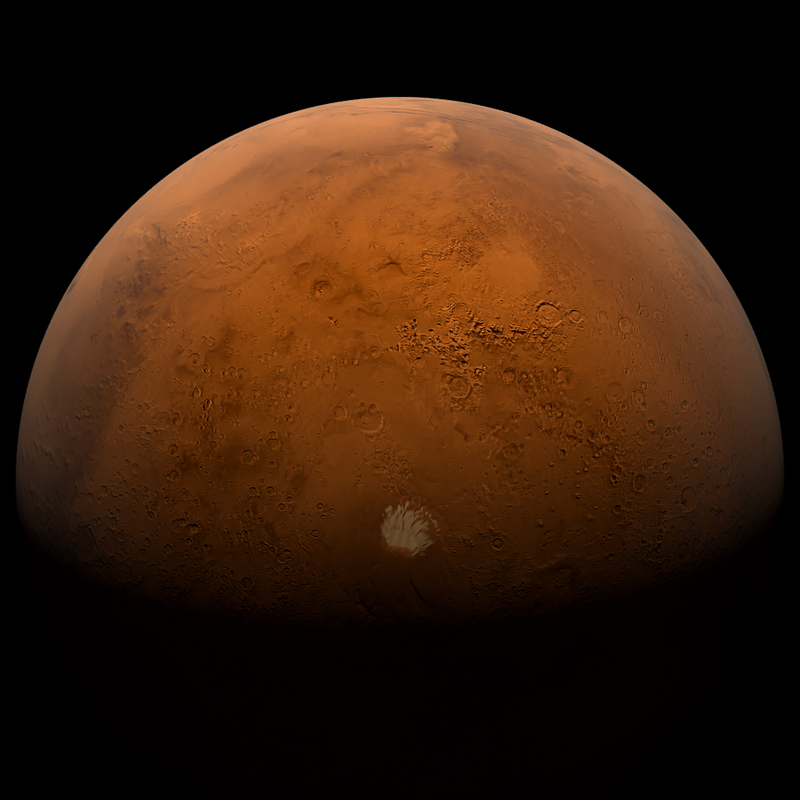 In 2003, Mars came the closest to Earth that it had for over 60,000 years. On July 27, it will reach the closest point to our planet that it has been since then. Opposition occurs every 26 months for Mars, but the actual distance from Earth varies hugely thanks to its uneven, elliptical orbit. The positioning that will make Mars distinctly brighter is called perihelion, which describes when the fourth planet from the sun is as close to the star — and Earth — as it possibly can be on its orbit. When photographing Mars, keep the following in mind: The stunning astrophotography shots NASA uses are done with a massive telescope, so don’t feel too bad if Mars looks like a reddish star. It’s still a unique addition to any stargazer’s collection!